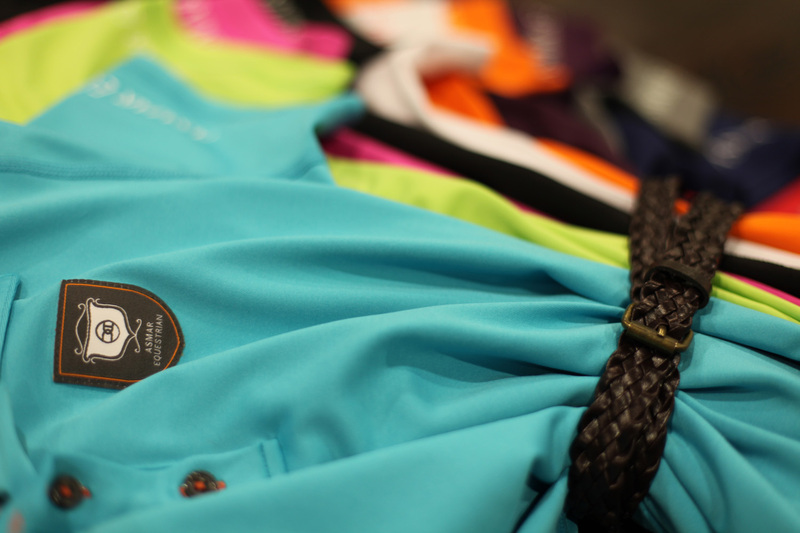 Our polo shirts are available in an array of bold colours and technical fabrics, which make these lightweight shirts a wardrobe staple all year round. The shirt features contrasting button hole stitching for a stylish touch. It boasts a longer length, so you can tuck it in easily. Made from 100% Polyester with the benefits of ChitoSante antibacterial treatment, making the fabric breathable, fast drying, odour resistant and pill resistant. The shirt also offers SPF 30 Protection. Posted on November 17, 2012, in Asmar Equestrian Clothing Range, Christmas gift ideas, clothing and tagged Asmar Equestian, equestrian fashion, equestrian polo shirts, equestrian tops, polo shirts, riding tops, riding wear. Bookmark the permalink. 2 Comments. How much? Does it include shipping and how much tax. Where do you live? If you visit http://www.asmarequestrian.com there is a list of retailers you can purchase our items from, which means you wouldn’t have to pay tax.